As everybody knows I really am a golf nut. I would say that I´m not focused on the typical golf gadgets but I’m more focused on style gadgets. That’s why I’m always searching for new and stylish products. 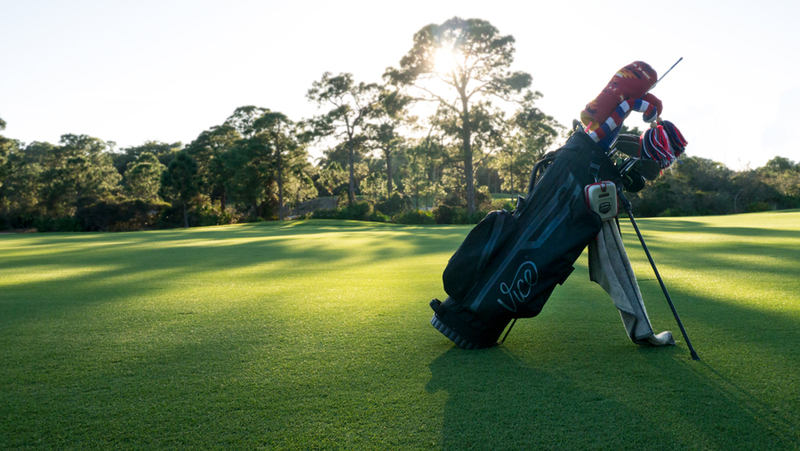 Golf bags are a difficult topic – when you look around you will see tons of them, so it is hard to find the perfect or the super fresh one. 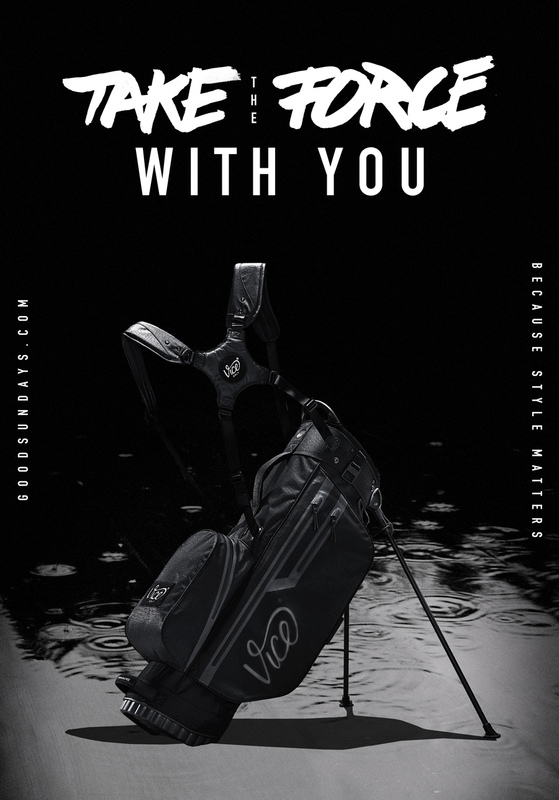 Right now, I’m very satisfied with my Ogio carry tour bag! It fulfills my needs and of course, I really like the design of it. 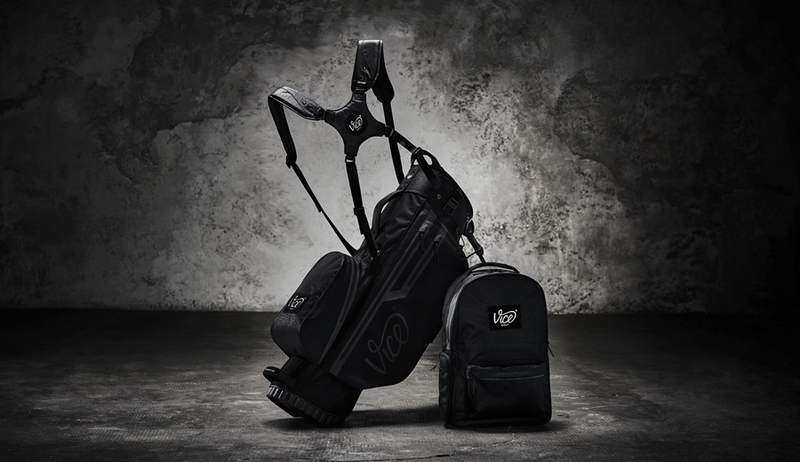 Nevertheless, I am really impressed by the new FORCE golf bag from vicegolf.com. First of all, the design is truly a jackpot. The colouring, the material and all details such as the zippers are amazing. 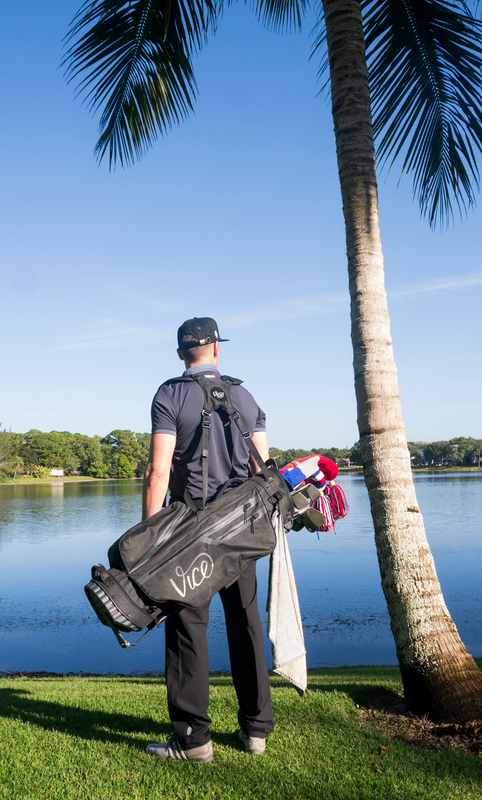 Vicegolf.com sent me one of their bags and my great enthusiasm for this master piece started just in the moment when I placed my clubs from the old bag into the new bag. For me personally, it is of major importance that the club divider goes down to the bottom with enough space to the bottom, so there is no more pulling-out-the-club-massacre! The second advantage ist he waterproof material of the bag. The complete bag is water resistent and every zipper is well and cleverly placed, so that water can’t get into the pockets. The division of the pockets are the only thing I would say I’m a little bit confused about as there is no pocket for the water bottle that I am taking along on an 18 hole round. But the rest of the bag is just a perfect deal. I have never seen such a comfortable carrying system with so many options to adjust it. Vicegolf.com also took great effort on the stability system, the carbon optic has something from a sports car and the stability system itself is super stable and robust. 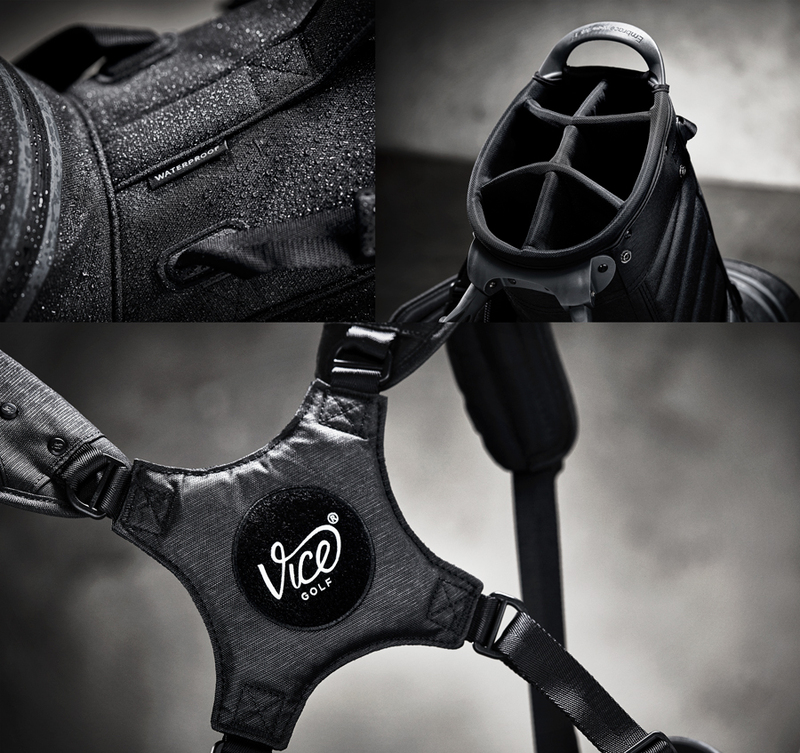 You can order the Vice force bag in two colours, grey with neon lime details or black with grey details.